English news channel NewsX held an hour-long debate last week speculating how Brenton Harrison Tarrant, the gunman at centre of mass shootings at two mosques in New Zealand which killed 50, could be a proxy for Pakistan, based on a Facebook post. 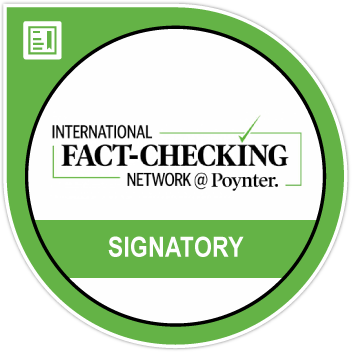 The 56-minute debate that aired on March 15, 2019, the day of the attack in Christchurch, began with the channel first showing a Facebook post from October 2018 that included a picture of Tarrant. The Facebook post on the timeline of Syed Israr Hussain, a hotel owner in Pakistan, was first discovered by social media users and soon picked up by news outlets across the world. However, NewsX attributed the find to Australian news reports. It showed the accused gunman, an Australian citizen by birth, had visited Pakistan as a tourist, last year. 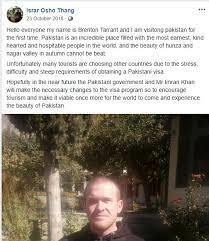 While the Facebook post was proof that the gunman visited Pakistan in 2018, NewsX used speculation and conjecture to suggest Tarrant’s visit to the country was somehow linked to the attack. The channel ran text graphics that read, ‘LONE GUNMAN OR PAK PROXY’, ”SMOKING GUN’ WAS ON FB’, ‘AUSSIE MEDIA NAILS LINK’ along with a reporter showing a map of Pakistan with the exact location of the hotel Tarrant stayed at. BOOM sent a questionnaire to NewsX and will update the article if and when we receive a response. 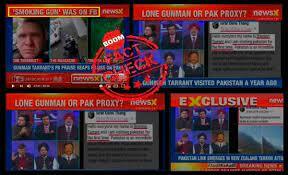 NewsX’s Uday Pratap Singh claimed ‘a Pakistani terror link’ had been established. The discussion went as follows. Devika Chopra (reporter): A Pakistani connection has now been established, however we would like to point it out these are reports put out by Australian media. Uday Pratap Singh (anchor): Clearly of course a Pakistani terror link emerging that is now being discovered in the New Zealand terror attack that killed 49 people. From here, the anchor opened up the discussion to panelists. As the debate raged on several theories were put forward such as gunman being a sleeper cell of the Inter-Services Intelligence (ISI), that the attack was to divert attention from Pulwama. Panelists even questioned the accused religion and raised doubts about a hate crime being the motive. Anchor (Uday): I want to come back to the foreigner radicalisation point, it’s happened before with David Hadley as Lt General Metha just mentioned, but there have been other foreigners who have been radicalised in Pakistan particularly haven’t they? That’s why this must be probed. Panelist (Commodore Sodhi): As far as this gentleman is concerned, this accused, they have to investigate what is his name? Is his religion same or different? What was his motive? Why did he come? Whom did he meet in Pakistan? Was he radicalised by ISI? This lead should come out. So who were the three chaps, and then they were put together by ISI…..
Anchor (Uday): So who were the others? Panelist: See Uday, you spoke about the hate crime, so what is surprising is even if you take the aspect of hate crime, here is a person who has gone to Pakistan, who has been talking about parsing Pakistan, who praises the Pakistan Prime Minister, he does this act that too in a mosque, and the link to Pakistan, this hate crime aspect doesn’t add up. Anchor: Hmm. It doesn’t add up, you’re right. 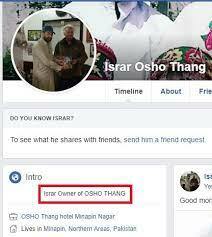 NewsX claimed the hotel owner’s name was ‘Ishar Osho Thang’, however ‘Osho Thang’ is the name of the resort in Gilgit-Baltistan region of Pakistan. The New York Times contacted Syed Israr Hussain, the owner of Osho Thang hotel in Minapin, Pakistan. Hussain told the newspaper that the accused had stayed there for two or three days with a group of backpackers. Israr did not reply to BOOM’s messages when contacted on Facebook. New York Times had reported that a person with the same name as the accused had stayed at two hotels during October in Pakistan. Tarrant’s travels have come under scrutiny since the attacks. Besides Pakistan, he also traveled extensively to places such as Turkey, Bulgaria, North Korea, South East Asia and East Asia, none of which wasn’t emphasized during the NewsX’s debate. The Washington Post reported that he had described his travels, positively, in his manifesto. However, it was the Stockholm attack in 2017 when an Uzbek asylum seeker rammed a truck into a departmental store killing five, that seemed to have hardened his views on immigration. “In the manifesto, he described how it was on a trip to western Europe in 2017 that he first “dramatically changed” his views on immigration — an experience that appears to have led to his radicalization. On that trip, he traveled through France, Portugal, and elsewhere, he wrote, and was horrified by a truck attack in Stockholm around that time that left a young girl dead. ” – The Post reported. The posted a 74-page manifesto online before carrying out the attack. “In the document, called “the great replacement”, Tarrant describes himself as a “regular white man from a regular family” who “decided to take a stand to ensure a future for my people”, The Guardian reported. “He said he wanted his attack on the mosques to send a message that “nowhere in the world is safe”. Several news reports pointed towards white supremacy and right-wing extremism as the motive behind the attacks.